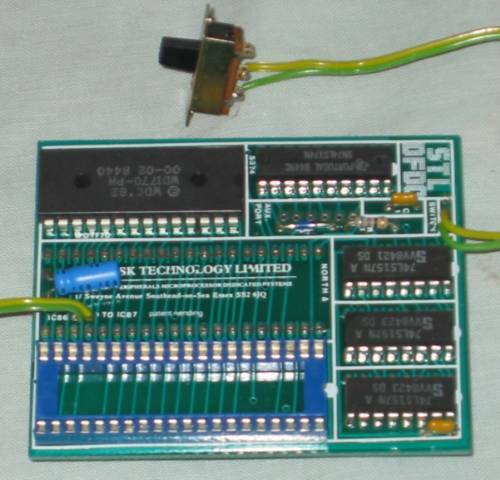 The Solidisk Dual Floppy Disc Controller has both an Intel 8271 and a WD1770 disc controller. 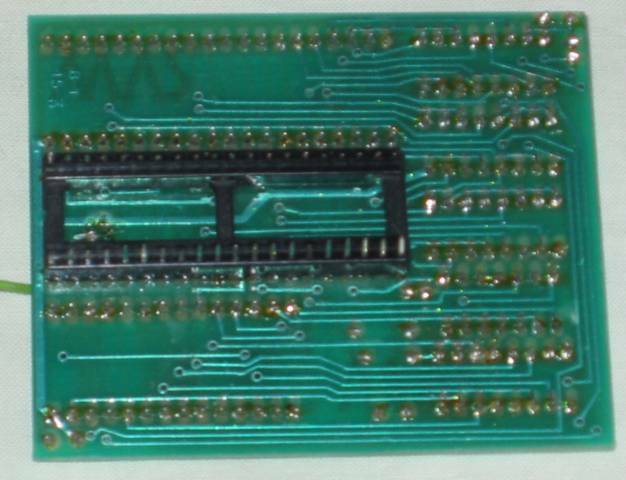 The Solidisk DFDC replaces the Intel 8271 in the IC78 socket on the BBC Motherboard. 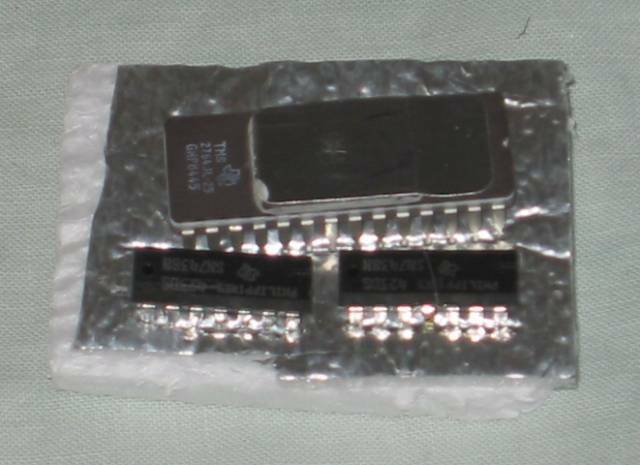 The Intel 8271 is relocated on the Solidisk DFDC board (the Intel 8271 is in its socket on the issue 2 board). The board has a switch which allows the user to switch between the Intel 8271 and the WD1770, and thus single or double density discs, the Intel 8271 can also be selected for 100% compatability with the Acorn DFS. 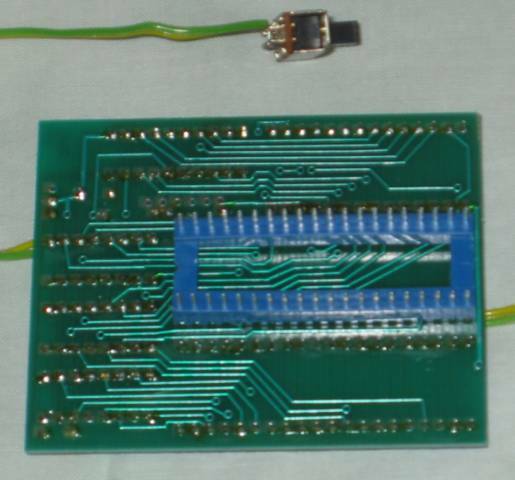 On the issue 2 board, the green wire is one of 2 wires which which connect to a switch to allow you to switch between the Intel 8271 and WD1770 disc controllers (the other wire is missing but there is solder on the WD1770 pin where it should be connected). 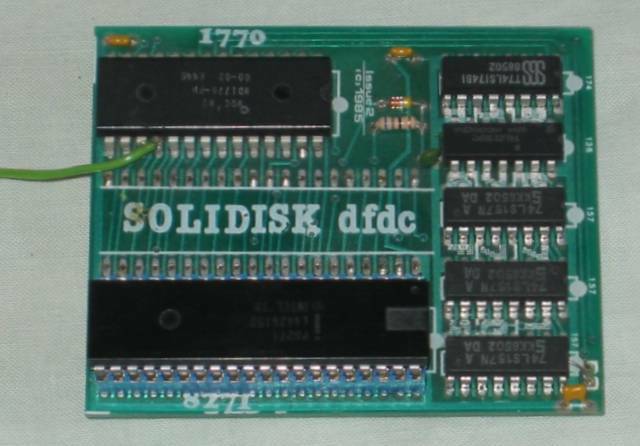 The Solidisk DFDC is compabable with other 8271 DFS and can be used with Acorn or Solidisk ADFS ROMs. In September 1985 Acorn User published a review titled "On the Double "
Here is the Solidisk Disk Filing System User Manual. Here is the Solidisk DDFS 1.9 ROM guide. Here is the original invoice for the Solidisk DFDC Issue 1.